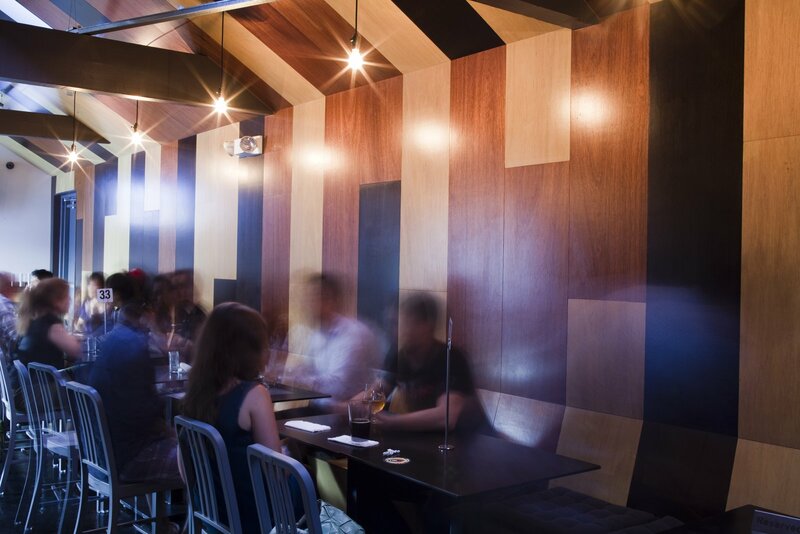 Inspired by the space’s barn-like feel, MAKE Architecture opted for a reclaimed wood aesthetic at Beer Belly. Random patterns of stained veneer plywood liven the interior surfaces. The seats are upcycled 111 Navy Chairs by Emeco.